1. Open the received email notification. 3. 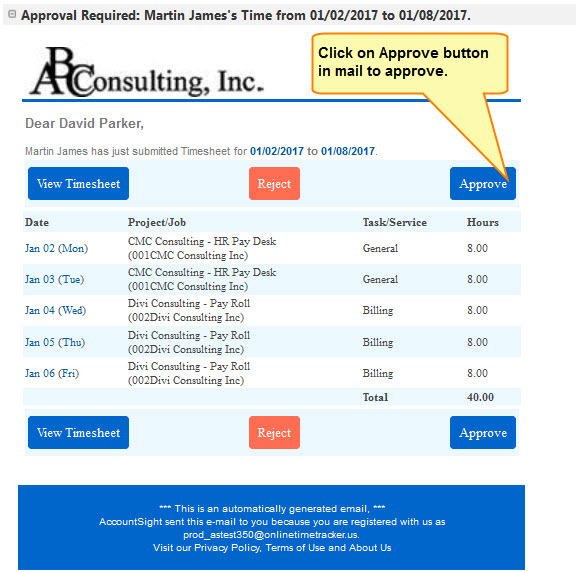 Click Reject or Approve. 3.1. 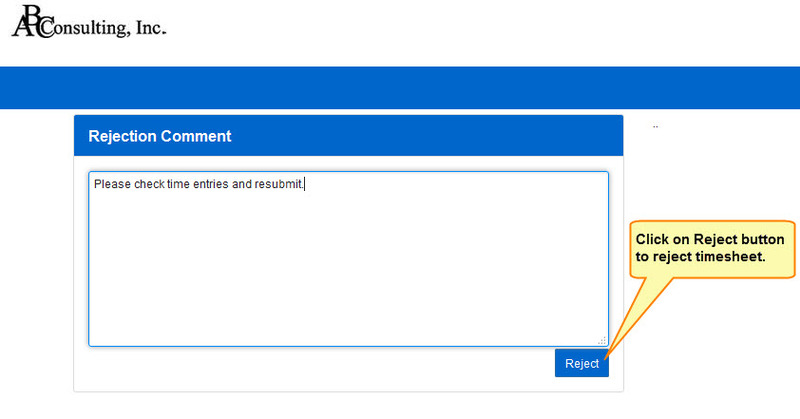 Enter Rejection Comments (optional). 3.2. 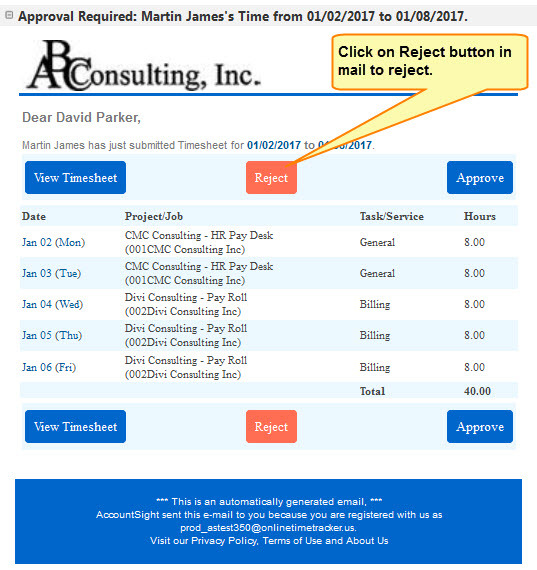 Click Reject. Timesheet is rejected. 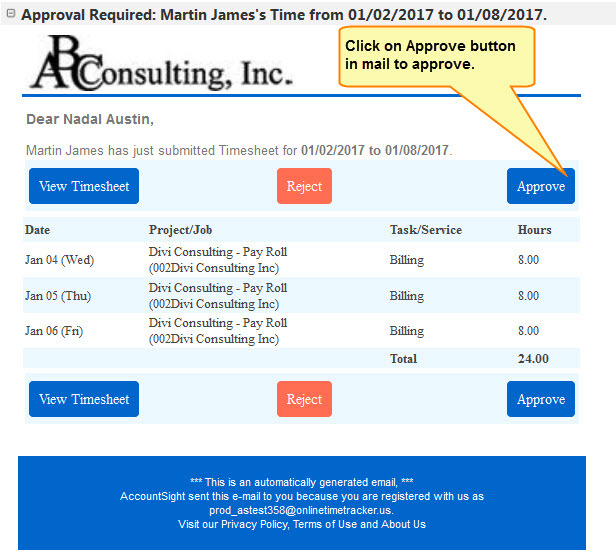 (b)	Click Approve, if the timesheet meets your expectation.